Normally this story would also start with: "Never would we have expected to find...", but today I am in the mood for something brand new. Let's start with a picturesque and memorable arrival via the amazing snow-capped Engadin, stopping by St. Moritz and diving into childhood memories of my colleague Lukas. The weather was brilliant and driving along Lake Como was never more beautiful. Leaving the highway in Varenna and taking the ferry to Bellagio is always a picture-perfect idea. While the camera of the iPhones were already working on our many many pictures of Bellagio, we slowly entered the gate of CastaDiva Resort & Spa in Blevio - a half an hour's drive from Bellagio. One bellman was greeting us and opened the gate. An unforgettable journey began. 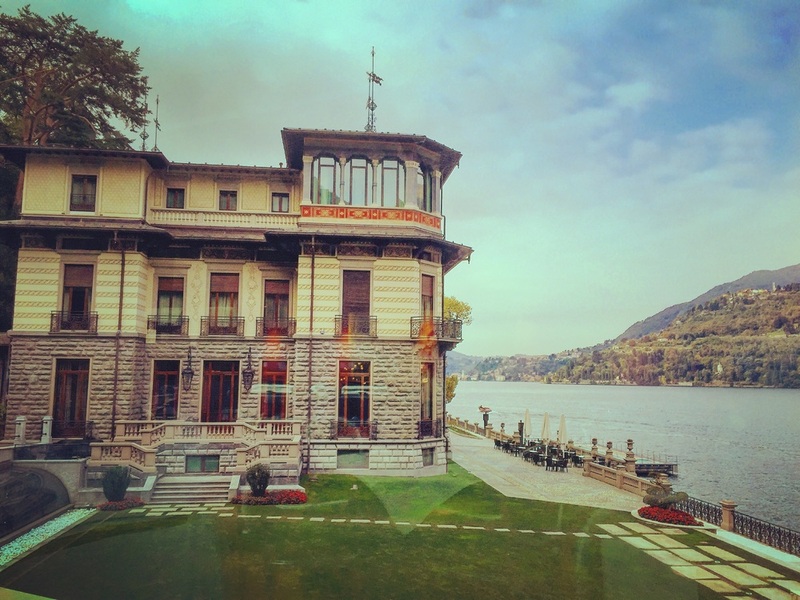 While we both were still speechless by the size of the hotel grounds and the breath-taking lake views, our car doors opened and each of us was greeted with a nice: "Benvenuti at CastaDiva!" A nice lady with a very interesting fashion costume already awaited us and has been accompanying us to the front desk were they all knew our names and asked for our passports. Paperwork was done within one minute and Maurizio took us for a brief tour around the main Villa called Roccabruna. Yes, in each and every of the high ceiling public areas we were speechless. Lake Como was cristallizing through the vast windows and we already smelled the Bellini at the hotel bar. We decided to see our room first and so Maurizio showed us the way to our breath-taking two-storey Duplex Lake View Suite. There were we now, standing in another out-of-this-world-suite full of elegant furniture, modern technologies and finest fabrics - well and best lake views of course, overlooking Como and Cernobbio (the sunset side). Our living room was equipped with two very comfortable sofas, a writing desk, a balcony with best views, a guest toilet as well as a small walk-in wardrobe. When we both entered the second floor we couldn't decide between the bedroom or the bathroom to be more impressed about. Well, I would go for the golden bathroom with this deep and perfect tub or these lovely Lorenzo Villoresi toiletries which are really exclusive at the CastaDiva. 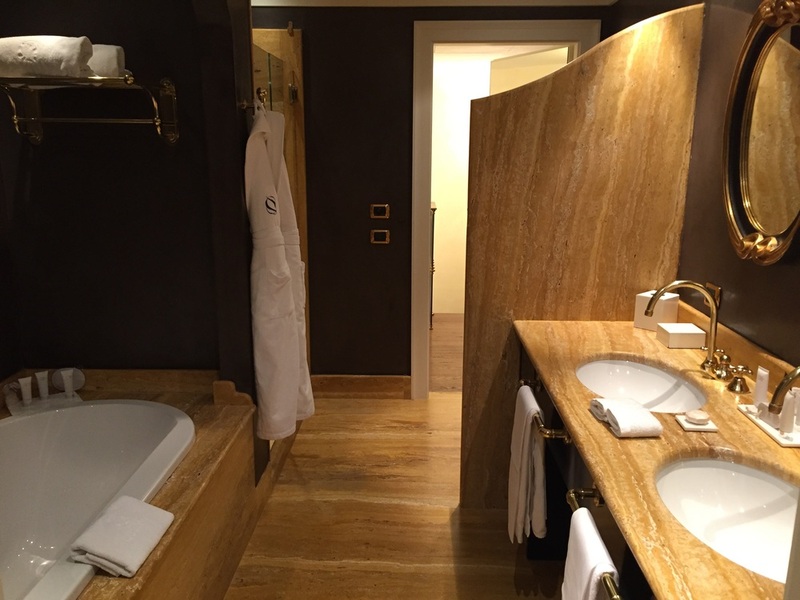 Plenty of towels (by luxurious Rivolta Carmignani), a big walk-in shower, spacious and seperated toilet with bidet as well as double vanities - there was nothing missing! Neither in the bedroom we weren't missing a thing: excellent boxspring bed, lake views, seperate television, plenty of storage place as well as room diffusors to create a nice smell. Spreading over nearly 100+ square meters and two floors, this suite was outfitted in finest and most expensive material and was perfect in every detail. Luggage service was excellent and fast, as was the valet parking (free of charge of course). The quality of the bed was extremely good and although Lake Como is famous for its terrible traffic we could even sleep a night with open window, due to the fact that the resort is far below the main street. Having unpacked everything it was time to discover the sumptuous spa area below the hotel grounds. Luckily all guests staying in the main villa can access the spa directly without changing. We were welcomed in a friendly way and got a tour around the spa - like it should be in any five-star-deluxe hotel. The complete spa was wonderfully designed and the light lights were perfect for relaxing the eyes. While the main relaxation room was built over the lake, the other part of the spa including sauna, steam bath and pools is built into the grounds. Beside a very comfortable heated vitality pool with different jacuzzi options, there was a main whirlpool as well as a relaxation room with a salt wall - where we spent most of our times due to the terrible comfortable beds. On the second day, after a deluxe Italian breakfast - with a selection of dishes from the buffet, excellent cappuccino and hot a la carte dishes - we moved on to our treatments. One was a facial treatment, while the other was a deep-tissue body massage. We had the oppotunity to have these treatments in a wonderful Spa Suite - from which the CastaDiva has four in different styles. This means we had a private steam bath, hammam area and oversized water bed. Again, the lights were smooth and therefore the atmosphere was very relaxing. Above all I would like to express that the whole spa staff was skilled and perfectly trained to grant plenty of privacy. After this amazing breakfast we went back to our heavely day beds in the salt room and continued "working". Apertivo Time at the Bellini Bar. Of course it's obligatory to take a Belini or Rossini. They are simply amazing and come with lots of finger food and snacks - as usual in Milan.Our favourites have been the Cheese with Aceto Balsamico and the potatoe balls. Perfect service paired with amazing lake views! 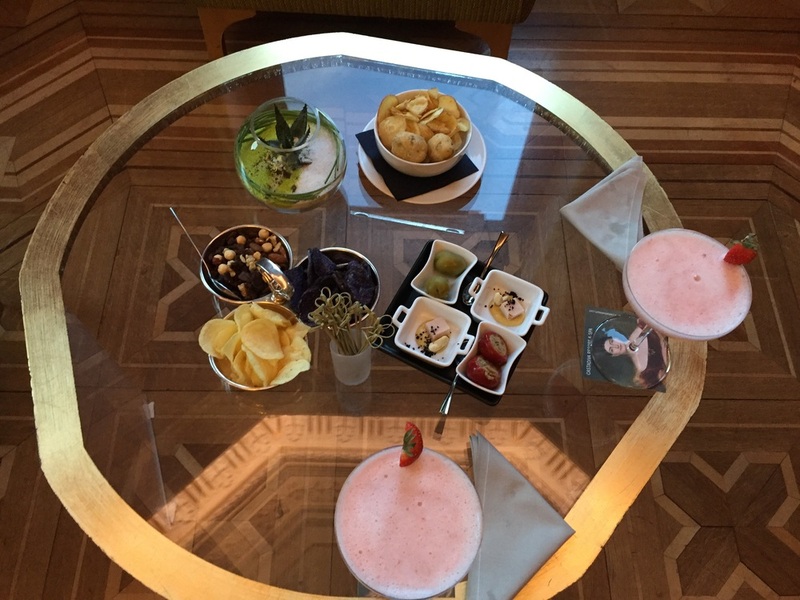 Completely relaxed and refreshed from a dip into the vitality pool followed by a shower with Lorenzo Villoresi toiletries, we decided to take an apertivo at the Bellini Bar. Indeed this was the most amazing apertivo we ever had. Even Corso Como in Milano (recommended by a top Milan hotel) could not achieve this - yes I would even call it menu! 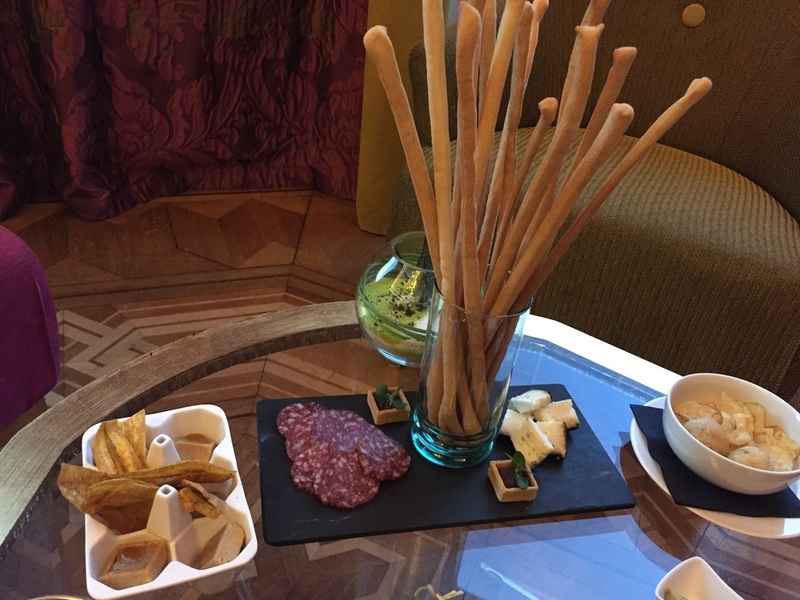 So we had Rossinis and Bellinis and got fench fries and nuts, potato crisps with potato balls, the best olives ever, amuse bouches, as well as best goose salami, cheese with Aceto Balsamico, handmade grissinis and baked spicy banana. The service was outstanding in all ways and the views again unparalleled. What continued after apertivo was nothing less than a simply amazing and perfect dinner. See the seperated dinner review for your food inspiration. Another heavenly night afterwards, a delicious breakfast follwed. Unfortunately it was already departure day and we could easily have spent another night. However we will try to plan a return in spring/summer 2016 to also inspect the amazing floating pool. Check-out was perfect and smooth, the car was already standing outside fully packed and with a lovely smell and clean front windows - Thanks CastaDiva! Get your room at CastaDiva Resort & Spa now and feel like George Clooney in his private villa - this resort is nothing less than your private wellness sanctuary. Well, prices might seem very steep (starting at 700 euros during main season), but for what you get, we can just say it is worth every penny and as everybody knows, memories are the most valuable! We were guests of the CastaDiva Resort & Spa and did enjoy amazing three days in one of Italy's best hotels. All above written expreses our own opinion and has not been influenced.